With last year’s Hymn for My Soul, Joe Cocker continued to mount his long overdue comeback. Although the outing was too polished and precise to be a complete success, it at least found Cocker revisiting the sounds and styles on which he cut his teeth. He typically has shown more gusto in concert, and although the ragged edginess of his approach has been worn smooth by time, he still can sing as if he is purging the pain from his heart. Cocker is bypassing Chicago for now, though he’ll be back at the end of June for an appearance at Ravinia. In the meantime, he’ll perform a pair of shows on consecutive nights at Milwaukee’s Potawatomi Casino, where he’ll soothe the suffering of those who need it most. The United Center is not one of the better venues in Chicago for staging a concert, but if anyone can make the arena feel like an intimate performance space, it’s Bruce Springsteen. Springsteen wields tremendous power as he digs deeply into his canon, and like a preacher addressing his congregation, he relays parables that are meant to provide hope to the hopeless. He may have ventured in a different sonic direction on his latest set Working on a Dream, but the underlying theme of love and loss in troubled times is one to which he has returned repeatedly throughout his career. It’s doubtful that he’ll have a gospel choir to support him on his journey (like he did at the pre-inaugural concert in Washington, D.C.). Fortunately, though, he doesn’t need to rely on gimmicks to make a connection with his fans. The Sadies has a viable recording career. Yet, the outfit also has managed to find time to carve out a distinctive niche for itself as a support act. Not only did The Sadies lend assistance to Neko Case during the making of her latest effort Middle Cyclone, but the band also collaborated with cow-punk pioneer John Doe to create Country Club. The new endeavor is peppered with original compositions, but the classic country cuts that dominate the proceedings — such as Johnny Cash’s I Still Miss Someone and Kris Kristofferson’s Help Me Make It through the Night — provide its heart and soul. Doe and The Sadies are performing only a handful of dates together to support the outing, which makes their show at the Double Door a rare opportunity to hear these songs in person. 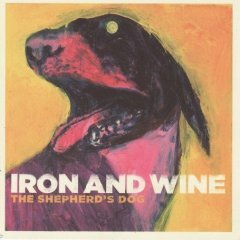 With its 2007 set The Shepherd’s Dog, Iron and Wine solidified its position as a darling of critics and indie-rock fans alike. Rather than rapidly crafting a successor to the album, however, the band wisely opted instead to compile a slew of rarities for Around the Well, a double-disc collection that is slated for release on May 19. The outing will buy the band some time, allowing it to proceed forward with caution rather than haste. Meanwhile, Iron and Wine has been on the road since the beginning of the month, and it is using its latest tour to delve into its vast, varied, and increasingly fascinating repertoire. Not surprisingly, its show at Schuba’s on May 13 has been sold-out for weeks, but lucky fans might still be able to see Iron and Wine at the Lakeshore Theater on the preceding night.